Our deluxe cabin is fitted with a comfortable queen bed and a sleeper sofa to comfortably accommodate up to four guests. 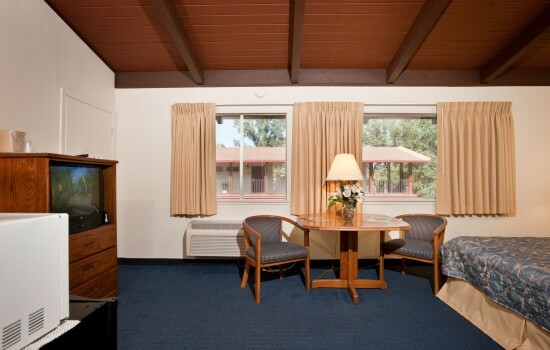 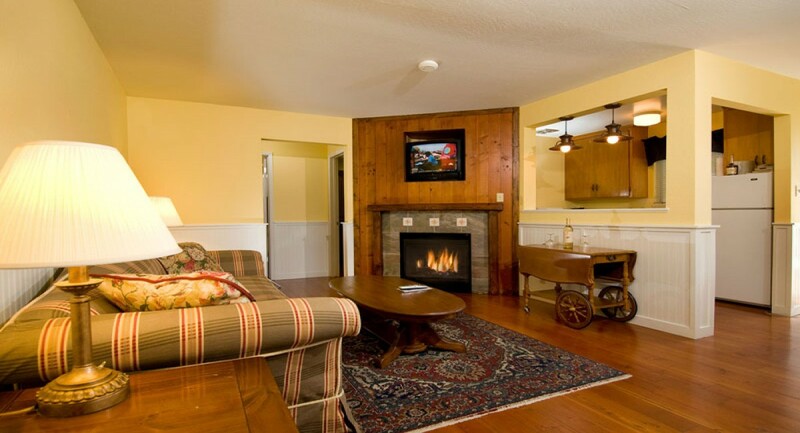 Additional comforts include a fireplace to keep you cozy at night, a full kitchen, and complimentary WiFi, personal climate control, a microwave and refrigerator, and a work desk. 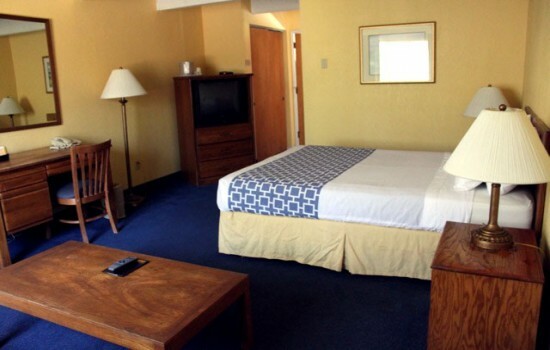 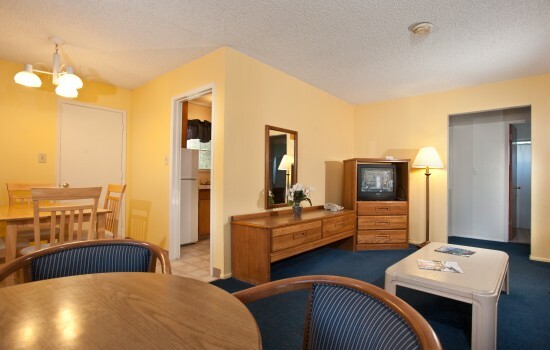 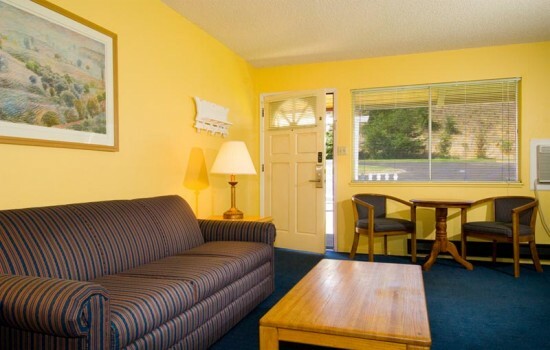 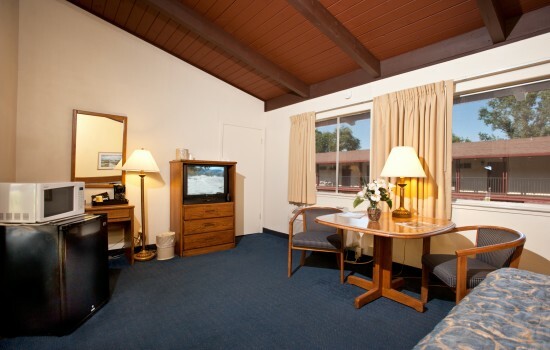 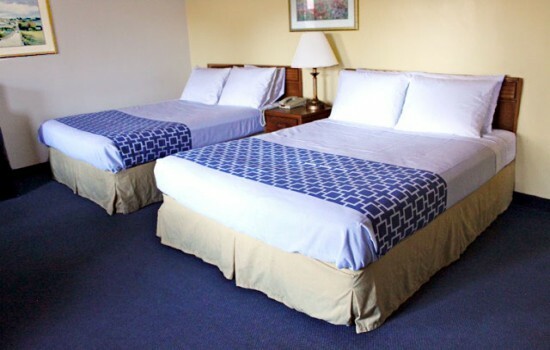 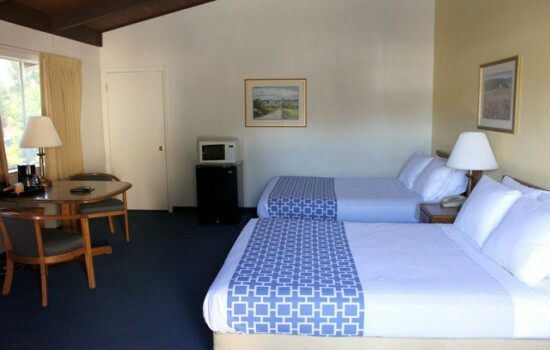 The private bathroom includes plenty of soft towels, a hair dryer, and signature toiletries.